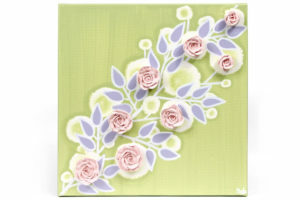 This flower painting makes a great addition to a girl’s pink and gray nursery. 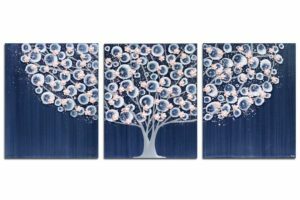 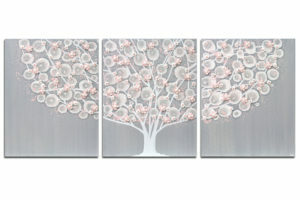 The hand-painted wall art features gray flowers climbing across three canvases. 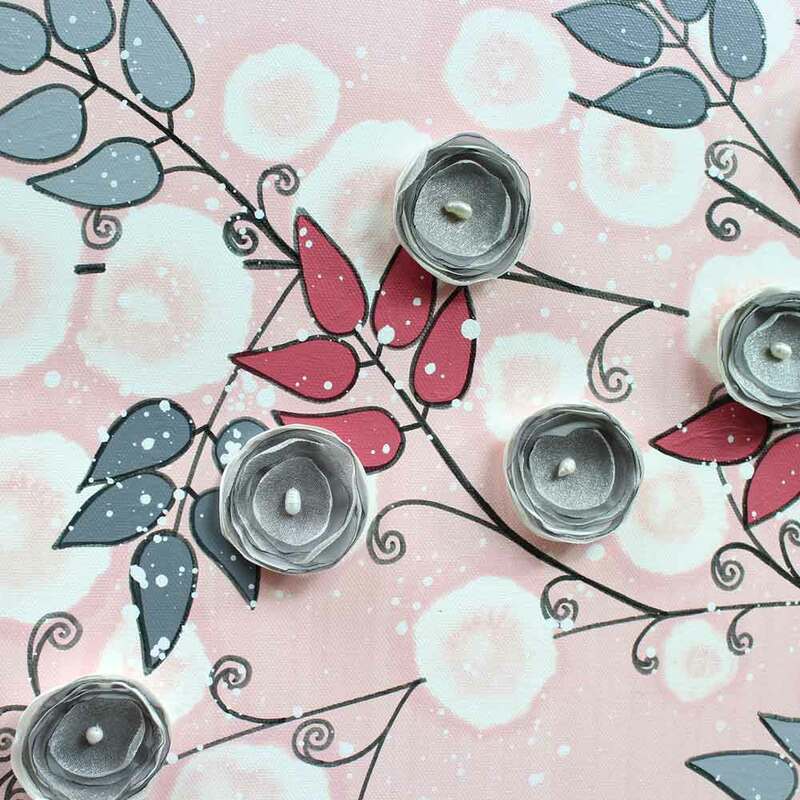 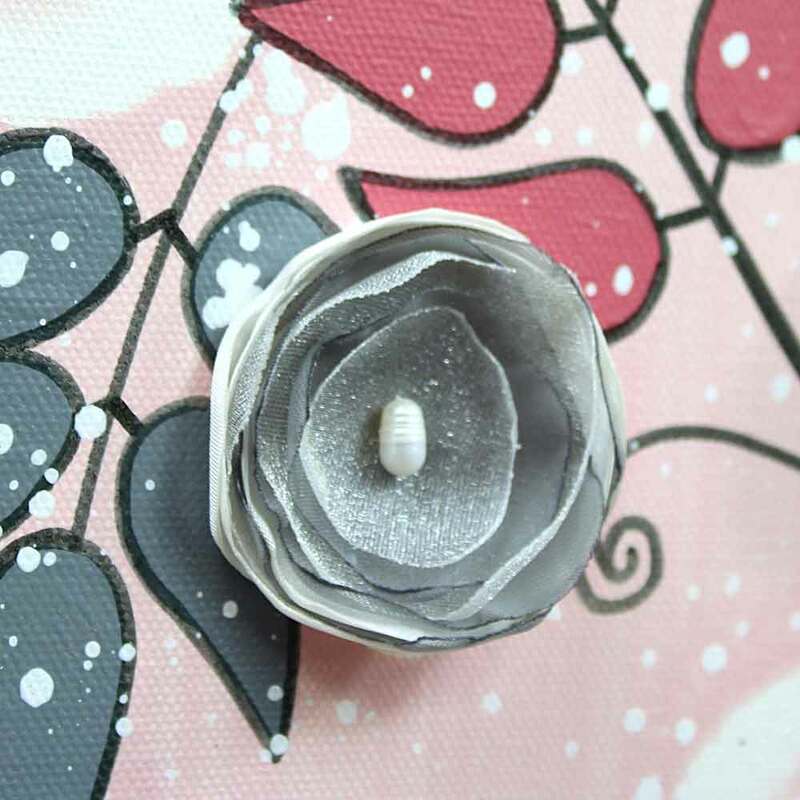 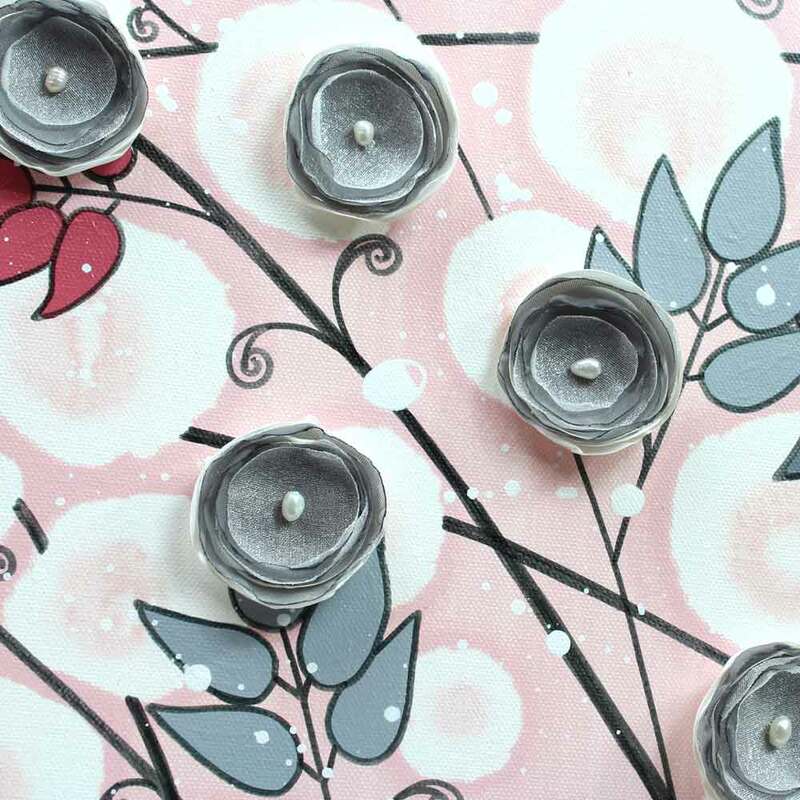 Each flower is hand-crafted in shimmering gray fabric and sewn onto the canvas with a freshwater pearl. 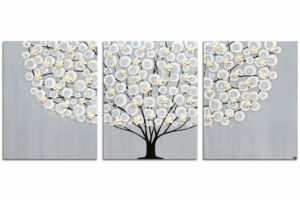 The arching branches are hand-inked in charcoal India ink. 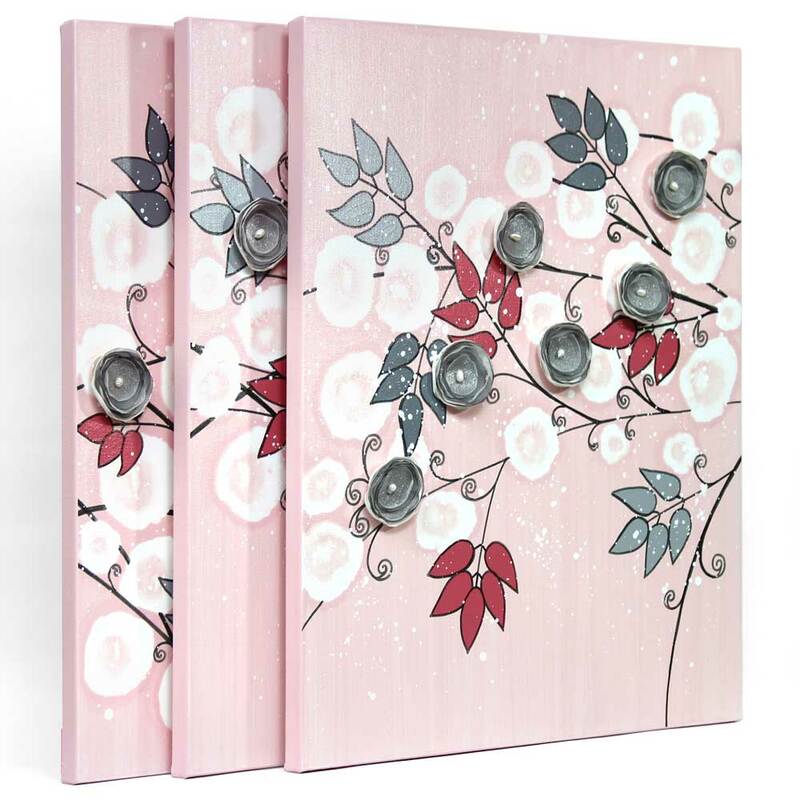 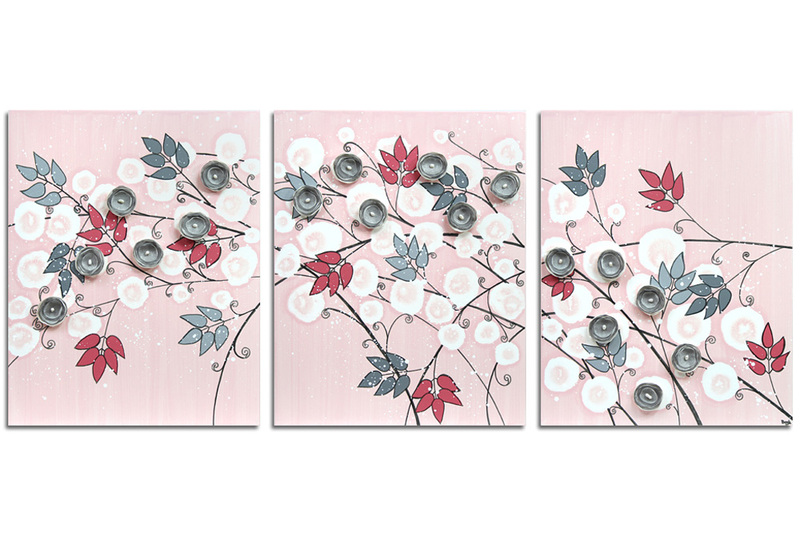 If your nursery walls are pink, try this painting in gray with pink flowers.